Too many accidents are caused by tired drivers falling asleep at the steering wheel. They either cause the accidents or are unable to avoid accidents which alert drivers would have been able to avoid. Tired driving is sometimes referred to as the silent assassin because sleepiness behind the wheel really kills! 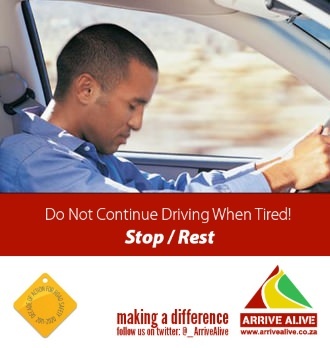 The topic of tired driving is often referred to in discussions on driver tiredness, drowsiness, driver fatigue etc. This has been recognized by road safety experts worldwide as a major threat to road safety – but too often is not given enough attention by drivers and fleet operators. Tired drivers cause thousands of deaths and serious injuries every year, yet even professional drivers (and their bosses) don’t always acknowledge the danger and pay enough attention to measures of avoidance. In this section we would like to consider safety advice and recommendations – and pay special attention to energy drinks as an aid to driver alertness. We will also reflect on caffeinated drinks which have been the topic of some criticism. The US National Safety Commission (NSC) has issued an alert for those driving under caffeine intoxication, similar to warnings associated with drinking alcohol and driving. Excessive caffeine consumption can cause similar symptoms to alcohol intoxication. The American Food and Drink Administration (FDA) has attributed symptoms such as irritability, nervousness, irregular or rapid heartbeat, muscle twitching and rambling speech to what it terms “caffeine intoxication”. Both tired driving and drunk driving are dangerous but in different ways. An important difference is however that there are severe penalties for driving with small amounts of alcohol in your bloodstream, but almost no penalties for driving while excessively tired. Perhaps it is time that road users and road safety authorities pay closer attention to driver fatigue as well! Before focusing on the merits of energy drinks and road safety we need to consider a few international facts on driver tiredness. Information from various Sleep Institutes/ Sleep Centres internationally provides invaluable information on driver tiredness. In-depth research starting in the early 1990s has been correlated with police studies of motorway accidents. Various projects have focused on sleepiness and sleep patterns in factories and amongst ship and shift workers and more importantly on the driving ability of drivers. During some of this research drivers have been monitored by electrodes while they provided responses to how tired they are on a scale of one to 10. The Loughborough Sleep Research Centre in the UK has spent more than a decade investigating driver fatigue, analysing thousands of motorway accidents and demonstrating the true extent of the problem. Working with, among others, the UK government, police forces and companies in the transport industry, and running special training courses for drivers and their trainers, the centre uses sophisticated software and a driving simulator. This evaluates driving behaviour and the physiological state of tired drivers using an (electroencephalogram). These driver tiredness study results are now also used in court cases involving tired drivers in fatal accidents. Driver tiredness and fatigue related accidents are not restricted to South Africa. Road safety authorities in the USA, UK, Australia and many other countries report similar concerns over motorists who drive while tired. Tiredness causes more than 20 percent of UK motorway accidents and at least 10 percent of all road accidents. It has been alleged that in the UK, driver fatigue leads to more deaths on motorways than alcohol does.  The US National Highway Traffic Safety Administration reports that driver fatigue was the primary cause of 100 000 accidents reported to the police each year. Sleep-related accidents are three times more likely to result in death or serious injury. A “long blink” or micro-sleep can last as long as 30 seconds. Tired drivers most often over-estimate their alertness. Most of those who are affected are young people - Car crashes that result from drowsy driving are most common among younger people, especially 20 year olds. According to the US-based National Sleep Foundation, who studied the subject in year 2000, around 20 percent of all motorists dozed off while at the wheel in the previous 12 months, but that figure rose to a quarter in the young adult age range. 51 percent of American adults confess that they have driven while drowsy. 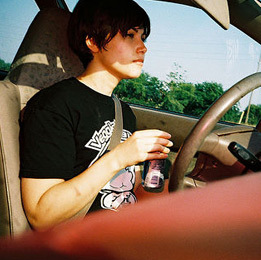 24 percent of 18-29 year-old drivers have fallen asleep at the wheel during the past year. Older people fare better and are more alert. Only 15 percent of people 30 to 64 years old are likely to nod off in traffic, and just 6 percent of drivers 65 and older nap on the road. Forty-two percent of adults become stressed when they are sleepy behind the wheel, while 32 percent are impatient and make reckless decisions. Sleepiness is the most likely cause of accidental death among truck drivers. Sleep-related accidents are the most likely reason for totally writing off a truck, and there’s a significant chance that all trucks will be involved in at least one sleep-related crash during their lifetime. Many crashes involve people doing their best, working long hours and not liking to say no to the request for additional limes to be driven. Men in particular will continue driving despite drowsiness. When are drivers most at risk of driver tiredness accidents? Professional drivers in the UK can drive legally for 4.5 hours at a time, but if that is in the early hours they have been found to be most vulnerable. These vulnerable times should be avoided if possible. Special concern has been raised with regards to older truck drivers. These drivers have been described as an ageing population because younger men are not keen on driving long distances in increasingly heavy traffic. Many drivers are also overweight, which can contribute to daytime sleepiness by causing sleep apnoea. When is the best time to have a rest stop and enjoy an energy drink? It is most important to remain vigilant behind the steering wheel at all times – and not to wait till you really can’t drive anymore. Energy drinks might provide the boost needed to drive to the next safe rest stop for that much needed nap before continuing with the journey!! Too many road users believe that they can through their own ingenuity manage to stay alert behind the wheel. They are in denial as to the signs their bodies offer with regards to tiredness – and disregard the need for some rest. Dr Louise Reyner, who has worked with the head of the Loughborough Sleep Research Centre, Professor Jim Horne, for more than 15 years, says they have proved categorically that no driver can fight sleep. The best advice to drivers is to avoid the situation. Research by the National University of Ireland, Galway suggested that caffeine has no stimulating effect on the brain and does not counteract sleepiness. According to some British researchers it is advised to drink two cans of a functional energy drink. Some driver training specialists have also promoted energy drinks as an aid to fighting fatigue among drivers. Research by the Loughborough Sleep Research Centre shows that one can of functional energy drink is effective in reducing moderate levels of sleepiness. The centre also found that consuming two cans would almost eliminate moderate levels of sleepiness and sleep-related driving impairments for about 90 minutes after the drink had taken effect. One study showed that a specific energy drink with 80 mg of caffeine per can, is as, if not more, effective as a cup of coffee, which varies from 20 – 120 mg of caffeine. Some driving specialist have emphasized that drivers should keep a can in their car for use to enhance driver safety. Energy drinks should NOT be seen as a replacement to rest. Plan ahead if you're going to be in a car for more than an hour at a stretch. Plan journey breaks at safe stops, taking into account long stretches of monotonous road, such as motorways, and vulnerable times. Avoid driving during the "red-eye hours" of midnight and 7 a.m. Follow your body clock: Most accidents happen at low points between 2-6 a.m. and 2-4 p.m. Consider putting off your car trip until the morning, then get a good night's sleep in the meantime. Drink one to two cans of a high-caffeine energy drink or two cups of coffee, then nap for 20 minutes to allow the caffeine effect to kick in. Energy drinks can be helpful for drivers as a quick fix to get them to a safe stopping place but should be consumed responsibly. Remember, tiredness can be a killer as it affects reaction time and concentration. All the statistics show that drivers who are over-tired are just as dangerous as those who have drunk too much alcohol. Yet drink-driving is condemned and reviled, while tired driving barely gets any attention. 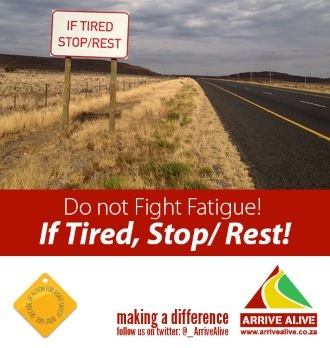 If you drive while tired you are a risk not only to yourself –but also to all the other road users!! It is important that we enhance awareness amongst all road users about the dangers of driver tiredness - and to advice drivers to drive when well rested and to remain vigilant at all times!